October 2017, Google introduced several gadgets that are being sold under the brand of the techno giant. The most awaited and expected novelty was smartphones Pixel 2 and Pixel 2 XL. From the stage, there were many impressive words about the unique features of the devices. But something remained behind the scenes, and Pixel 2 is not being appreciated anymore? That is the reason; people have set their eyes on next launching Google Pixel 3. A year ago, when introducing the first version of Pixel, Google did not miss the opportunity to “pin up” Apple. One of the slides “advertised” the lack of changes: “The 3.5mm headphone jack is not satisfactorily new”. This was, of course, a reference to the iPhone 7, which was presented just before, which lost the usual mini-jack. The Android community frankly mocked the buyers of the iPhone 7, forced to connect wired headphones to the Lightning port via an adapter. Karma can wait. A year has passed. Meet the Pixel 2 without the headphone jack. In the kit you will find an adapter from mini-jack to USB Type-C. We expect Google to overcome this issue, and they must put the 3.5 mm audio jack in the Google Pixel 3. It seems, ridiculing the competitor, Google just waited for users to get used to the new reality. Well, or reconcile with it. After the presentation, journalists asked the question about the connector to Google representatives. Those explained the abandonment of the minijack in that without this it would not have been possible to make a thin body and narrow frames around the screen. But … wait! Samsung Galaxy S8 – narrow, very narrow frames around the curved screen and a slim body. Something does not fit. If other brands can do it, why not Google? Well, these questions should be answered by the launch of Google Pixel 3. 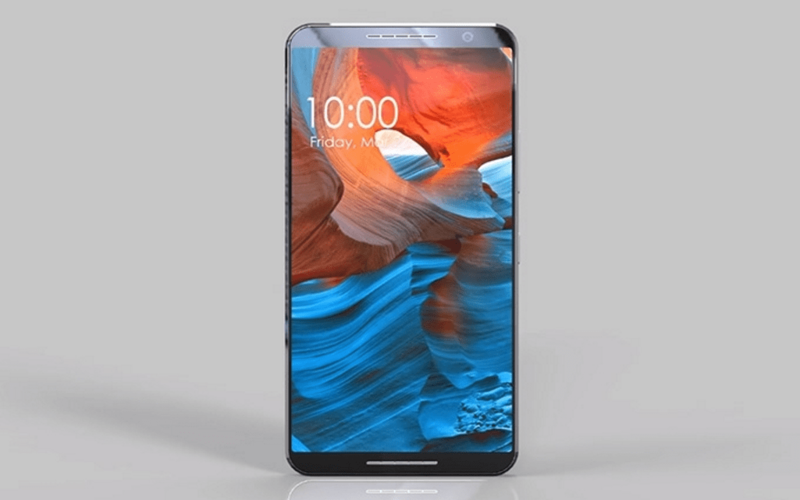 Thick frames around the screen, Hey, Google, look at the same Galaxy S8; Or on the LG V30. Yes, look at Xiaomi! Here it is – frameless screens. A couple of years ago we would all have written boiling water on how much of the front panel the screen occupies in Pixel 2. But now the year 2018, something had time to change. Soon, Galaxy S9 will be launched, and things will move even forward. We wish, Google shouldn’t lag behind in the race of best smartphone. Serious jobs should be done for the Google Pixel 3. Everyone has laughed at Apple, which, they say, with a head held high, caught up with the engine of progress and shoved the iPhone into wireless charging support. And, Google has back up. Pixel 2 can only be charged by wire. Yes, very quickly, but only by wire. By the way, wireless charging is cheaper. Even if you look at Aliexpress, you can buy a working and powerful model with a couple of dollars. IKEA sells furniture with built-in chargers. The technology has already been perfected and is available to all. Everyone is jealous of Samsung – one of the few companies that manage to make good money on Android smartphones. So, in all Samsung flagships, starting with the Galaxy S6 and Note 5, there is support for charging without wires. Just watch the movements and repeat. Google promises to release for Pixel 2 firmware updates with new versions of Android – this is good news. The bad news is that the deadline is 3 years. It’s quite a long time compared to what the other androids producers provide, but if you compare it with Apple (and with whom else do you compare? ), The “Pixels” lose a little here – the fresh iOS stand on the four generations of the iPhone back. Apparently, the Pixel 2 (and XL) is an excellent camera. The site DXOMark, which has considerable authority in assessing the quality of cameras, has inflicted 98 points out of 100 – it’s a lot. This is more than the camera of any other smartphone. To shoot her for sure is a pleasure, more and more. In this regard, Google will give all users of Pixel 2 endless cloud storage for photos and video in its original quality – but only until 2020. After that you will be free to store there only pictures in high quality – this is available to all Android users. In this place, it is worthwhile to understand what “high quality” is. If you think only megapixels, then it seems that there is no problem at all. The Pixel 2 sensor has 12 megapixels, and in the “high quality” mode the photos are compressed to 16 megapixels. Do you think such pictures Google will not touch? And here not! The cloud pushes and optimizes the file. That will shrink in size by half. Will this affect quality and detail? It cannot but be reflected. In this way, Google tries to add users to the Pixel line and force them to update their smartphones at least once every three years, without leaving other manufacturers. Well, now you have reasons why you should wait for Google Pixel 3. Stay tuned for more updates on next pixel smartphone.